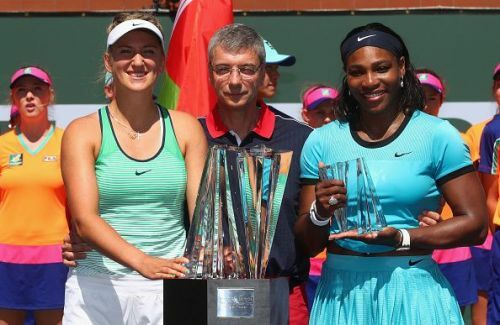 There was a time when a match-up between Serena Williams and Victoria Azarenka would be highly anticipated by tennis fans the world over. Though a Sharapova vs Serena match used to capture more eyeballs, from a pure tennis point of view, it was the Belarusian who was consistently holding her own against the American superstar. Azarenka was one of the few tennis players who did not get bogged down by the powerful presence of one of the greatest players ever on the other side of the court. Though she has managed only four wins against Serena out of a total of twenty-two matches, that record is still better than those of most other tennis players in the WTA circuit. And one of those wins came at Indian Wells in the final in 2016! But the former world number one from Belarus is no longer the force she once was. Unlike Serena who has made a stupendous comeback to tennis after her maternity break, Azarenka has failed to make a similar impact on the tennis court. Injuries have not helped her cause either. 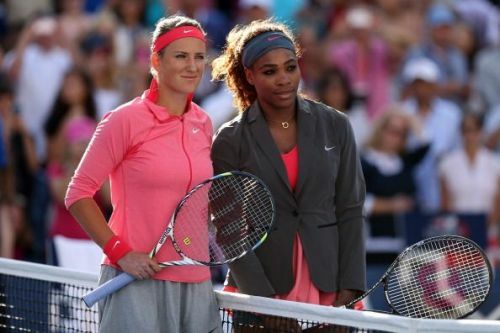 A depleted ranking for Azarenka has ensured that she meets Serena as early as the second round at Indian Wells. In the first round, she got the better of her compatriot Vera Lapko in straight sets. However, she would be disappointed with the way she served in the match. She could get only 56% of her first serves in and was broken twice in the match. She would need to perform much better to have any chance against Serena. The American may not have won any title since returning to the tour, but she has looked close to her best in whatever tournaments she has played in. Serena has done quite well in the last three Grand Slams. She reached the final of both Wimbledon and US Open last year and lost a closely fought quarterfinal at this year’s Australian Open to Karolina Pliskova. She has not played since. Serena is well rested and must be raring to go. She lost to Venus Williams at the same venue last year in the third round. But that was when she was making her return to tennis after a lengthy maternity break and was just beginning to get back her rhythm. A motivated Serena should not have much trouble in disposing of Azarenka in her first match of the tournament.